These continue to grow in popularity, especially amongst 18- to 30-year-olds. The boom continues, with marketers trying to connect with their prospects in a range of ways, including text and apps. These can be one of the fastest ways to grow your email marketing list - provided that you use attractive images, write a good ad, and automate the process of adding the new names to your list to save time. It’s also good for generating leads for Salesforce.com and other customer relations management software. 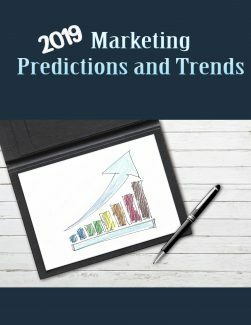 This is growing in popularity as more marketers try to connect with their target audience. Influencers with a large number of active followers could be the gateway to a lot more traffic and profits. Even if you pay the influencer to post your content to their followers, the return on investment can be considerable. The most recent algorithm (formula) change hit on August 1, 2018. Google states that it was intended to give credit to worthy sites that were not getting as much attention as they deserved. While it still looks like a lot of Wikipedia, there have been some changes in placements. As always, the best way to optimize your content is to write naturally. There will be a couple of changes coming up that will affect sites in 2019, and which are worth paying attention to. Let’s look at the landscape for 2019 next. If you see the sentence, "The bachelor lay on the beach," there is no clue as to which of the four meanings is intended. On the other hand, if you say, "The animal behaviorists will be studying the bachelors on the beach at Peel for the next six months and determining their hunting and fishing patterns," then we know that the last meaning is intended. The other words give us clues so that even though the word "seal" is not mentioned, we can still infer it. There are still arguments over short- versus long-form content. No one can agree on the ideal article or blog post length. Having said that, the longer an article is (650 to 700 words, for example), the more words will be clustered together, including "seal", and the more clues the search engine will get. About 500 words should be enough to get the point across if writers are really pressed for time and struggling to keep their site or blog updated.